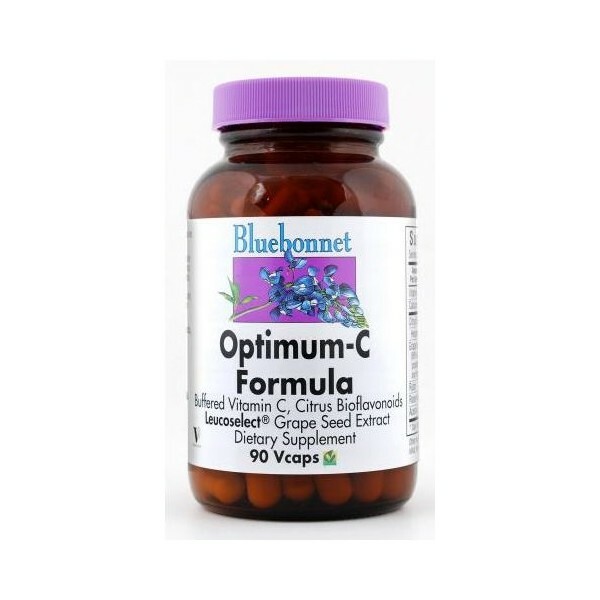 Bluebonnet Optimum C Formula 90 capsules. L provides vitamin C calcium ascorbate, rosehips and acerola. Complex bioflavonoids from citrus oranges, lemons, tangerines, grapefruit and fresh limes. Furthermore, Leucoselect® grape seed extract from Indena, hesperidin and rutin. 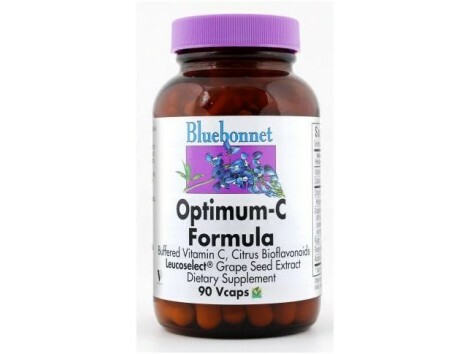 Optimum C Formula 90 capsules of vitamin C Bluebonnet provides l-calcium ascorbate, rosehips and acerola. Complex bioflavonoids from citrus oranges, lemons, tangerines, grapefruit and fresh limes. Furthermore, Leucoselect® grape seed extract from Indena, hesperidin and rutin. Available in easy-to-swallow vegetable capsules for maximum assimilation and absorption. How to take Formula Bluebonnet Optimum C? Adults take 1 capsule daily with food plant, preferably in the morning or as directed by specialist.